This is a special order item. 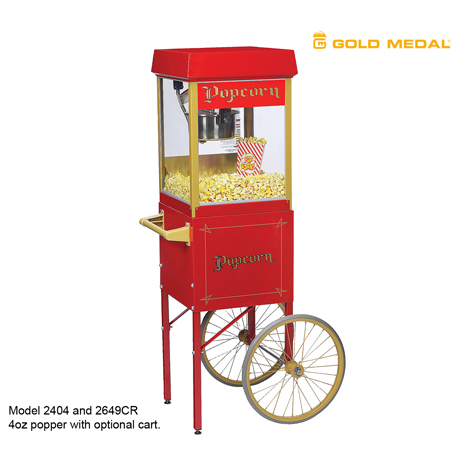 Please contact us at CornPopper.ca if you are interested and we will answer all your questions! 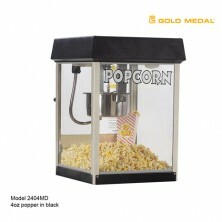 This concession-type popper is great for family rooms and home theatres! 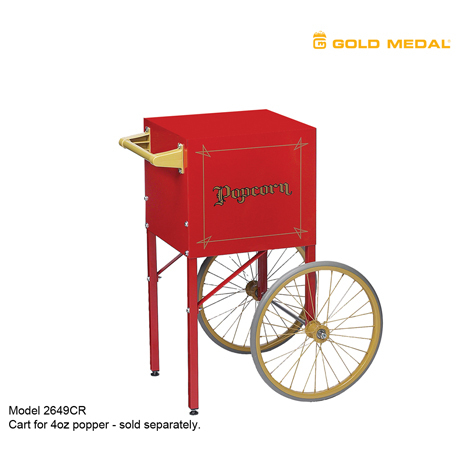 Made by Gold Medal out of Cincinnati Ohio, this is a “4oz” popper, which means you would use 4oz (1/2 cup) of kernels. 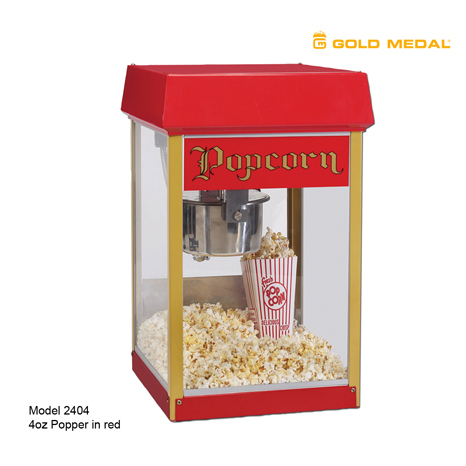 4oz of kernels will get you about 5-6 quarts of popcorn (about the same as our Whirley Pop). This popper sits on a table, or you can get a matching cart (sold separately). It’s UL approved for Canada and plugs into a standard 120V outlet. This popper has a 2 year warranty on parts and 6 months on labour. 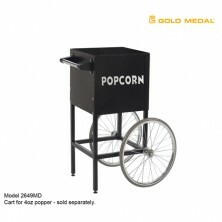 This item is shipped from Mississauga Ontario. Price does not include shipping. Please contact us to arrange a shipping quote to your address. This product not eligible for coupon codes.